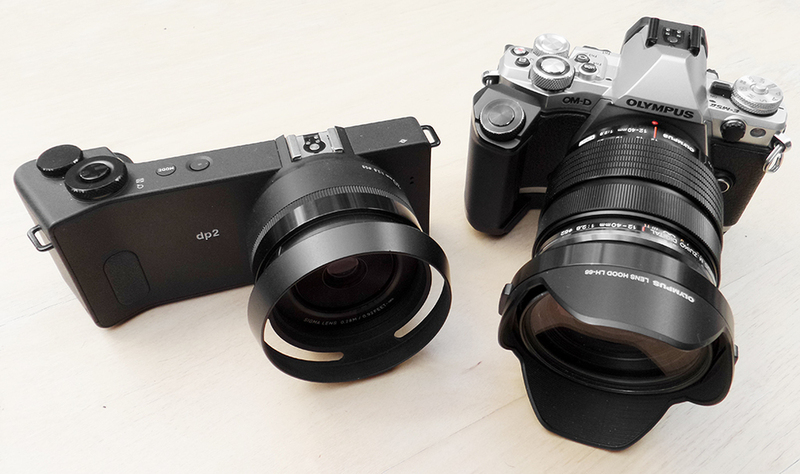 Both the Olympus OM-D E-M5 II and the Sigma DP2 Quattro have pretensions to offer super high resolution images. The Olympus, via it's High-Res mode offers a 40MP jpg. and a 64MP raw file. This however requires no subject movement, an exposure that requires sensor shift and therefore a tripod. The Sigma offers a S-HI jpg. option which is 39MP and an incredible 'Double Size' option from raw which is an unbelievable 78MP. So do these options produce what these numbers indicate, very high resolution images. And if so, are they actually any good? Images were shot at ISO 100, both cameras tripod mounted. The Olympus was at f/6.3 and the Sigma at f/8 to 'even up' the DOF. The Olympus raw file was processed in Adobe Photoshop CS6 - camera raw defaults and the Sigma raw file in Sigma Photo Pro, which is the only software that will process the Quattro's raw files. Again, the default setting was used. From the 100% blow up results above, you can see that these high resolution claims are no idle boast. Either from raw or jpg., both cameras produce very detailed, very high resolution, very sharp files. There are differences in colour balance and the Sigma has a worse dynamic range, but overall if you are interested in producing files with mind boggling sizes (The Olympus raw is 9216 x 6912 pixels and the Sigma an astonishing 10848 x 7232 pixels !!!!) both cameras produce amazing results. I would also point out that only the basic default sharpening was applied to the raw files and the jpgs. are straight out of the camera with no editing. Each camera has advantages and disadvantages for this however. Now if Olympus can get this sensor shifting technology to work hand held, then that is going to be a major breakthrough and will probably signal an end to the 'pixel race' since it then becomes pointless. But anyone who has ever spent anytime attempting to produce high resolution landscape will now that it's very rare to get all the elements of a composition totally still and in the UK that's almost unheard of. So the Sigma has an obvious advantage unless you do a lot of studio still life. The Sigma also has no sensor shift technology and is creating these files via interpolation, so it's clear that again the claims about the Foveon sensor are no idle boast either. It is a sensational sensor if you are looking for high resolution images. The problem with the Sigma's is, of course, if you want a different lens you have to buy another camera. Now when the entire Quattro range becomes available there will be a choice of (In approximate 35mm 'full frame' terms) 21mm, 28mm, 45mm, 75mm and 90mm (via adapter.) But then that will set you back somewhere around £3000-3500, since I've just found out there are price rises happening. So maybe those of us interested in these high-res. possibilities should hope that Olympus crack the sensor shift / hand held / faster shutter speed difficulty. But, even allowing for all that, this is impressive image quality by any criteria and allows the use of smaller lighter cameras to produce very large prints and images suitable for the most demanding of print publishing needs. And it's something that should worry Nikon, Canon and Sony, unless of course they come up with their own version of the Olympus tech. 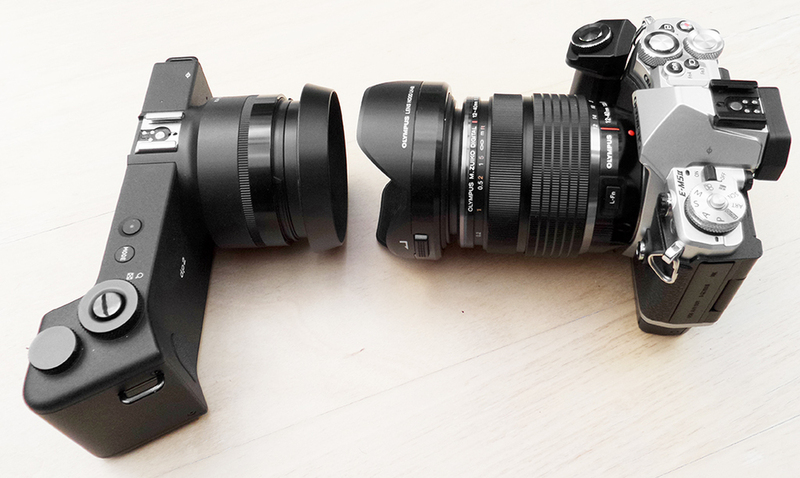 In the meantime Sigma goes it's own sweet way with the remarkable Foveon sensor. Which of course raises yet again the question of why on earth they don't put this into a MCE (Mirrorless / CSC / E.V.I.L ) system. Personally, as I've written many times, I think they are crazy and VERY shortsighted not to do this. Surely they would sell more cameras. I'd buy the whole lot immediately and probably use little else for the bulk of my work. But then we have to deal with what's on offer and both cameras are well worth considering if you are looking for huge files and incredible detail. Yes, both could be better in what they offer, but when the alternative is many 1000's of pounds / dollars and euros on a much larger camera and top class lenses, maybe the limitations of what these cameras offer can be put up with after all.